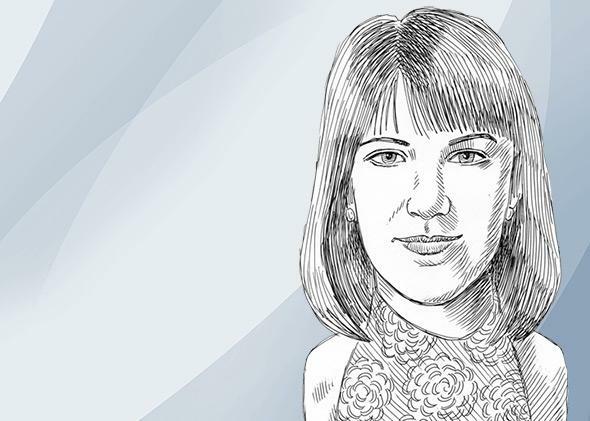 Victoria Fine, Slate’s new director of strategy and audience development. Our new director of strategy reveals our biggest hits and most social stories. Oh hey there, Slate Plus members! We haven’t met yet. I’m Victoria Fine, Slate’s director of strategy and audience development, and I’m two-months-new to the team. You’re right, my job sounds totally ambiguous and spy-like—basically I spend my day MacGyvering ways to help Slate’s great content reach as many eager eyeballs as possible. As part of my daily duties, I get to look at a ton of great stories—and also understand what you all are digging the most. Speaking of, our biggest hit of the week was a doozy, and one that I found personally fascinating. Several years ago, I spent a summer living in the garage of a logistics company building while running a journalism nonprofit (needless to say, we weren’t well funded). Stories about the insane amounts of money being made off of wartime life made for great conversation over beers back then. Still, Slate’s story of how 115 enlisted U.S. personnel and military offers could make off with $52 million in Iraq and Afghanistan really took my breath away. I still have friends in the region, and I’ve been following ISIS’s progress closely. So I found former CIA counterterrorism analyst Aki Peritz’s essay, “Why a War Without Mercy Against ISIS Is Destined to Fail,” particularly thought provoking. It argues for mercy for the merciless as a battle plan. Taking the high road with terrorists isn’t popular, but Peritz sticks to a refreshingly rational defense and stays far from that no man’s land of moral and ideological obligation. A couple of great tribute pieces: Torie Bosch’s thoughtful piece on Lean In as a worst-case scenario plan, as opposed to a dewy-eyed strategy for career fulfillment. And this Vine of Ryan Gosling’s final hat tip to the man who convinced the world Gosling hated cereal. Cheeky, spot-on empathy cards for when you just don’t know what to say. Amanda Hess’ brave sojourn into her own Google search history, which basically confirmed all my worst fears about my own online legacy. Oh, and my absolute favorite thing of the week! By sheer chance, Prudie addressed my biggest pet peeve in her weekly video: Chatty, nosy and overbearing dental hygienists. I feel so validated that I’m not the only one that feels this way—and grateful that Prudie, as usual, has the perfect solution. Thanks for supporting Slate by being a member of Slate Plus, and thanks for sharing a bit of your Friday with us!